China uses 220V, whereas the United States and Japan use 110V and 100V, respectively. Adapters are easy enough to find as are shavers, hairdryers, and other electrical appliances. It is also best to first check your new residence’s outlet configurations – two or three prongs. The landlords of the renting apartments/villas/houses in Shanghai in most cases will provide home electical appliances together with the property. The official currency is RMB (renminbi). The basic unit used is yuan ¥, also known as kuai. Ten jiao, or mao, is equivalent to one yuan. Currency values smaller than jiao are calculated in transactions, but not collecte. For instance , if grocery bill totalled 10.66 ¥, the amount to be paid would only be 1.60 ¥, always rounding down. 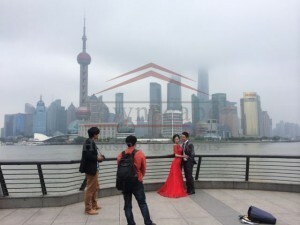 Shanghai enjoys four distinct seasons, characterised by hot and humid summers and cold winters. Spring and fall are generally shorter, milder periods. The temperature ranges from 3°C to 40°C. On the Property leasing contract, the rental currency is RMB in most cases. The official language spoken is Mandarin Chinese, though many locals in Shanghai speak their own dialect, namely Shanghainese. 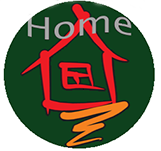 Please be rest assured when you staying with HomeofShanghaiHousing Real Estate agency, all our property conconsultants speak fluent English. How can I have utility bills paid after I rented the apartment/seviced apartment/villa/lanehouse in Shanghai? How can I have internet? what about the internet speed in my rented apartment/villa in Shanghai? How much will the utility consumption cost in my villa/house/lanehouse/apartment in Shanghai?